An adjustable and firm-footed barrel stand for an active conga player or producer. 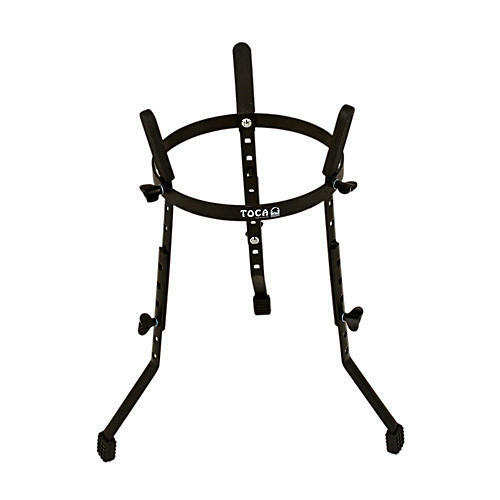 Featuring a redesigned lower leg design, this Toca 3700 Series Conga Barrel Stand is height-adjustable to the needs or the environment of the hand percussion. The new legs help prevent the conga from "walking," while the stand is easy to assemble and is finished a black powder-coating. An all-new stand for drummers who play with hands. Order today.